The PLPROFILE4 MKII luminaire is a LED, variable-beam profile with precise beam control and pattern projection from a high output beam. An innovative combination of LED source technology and precision optical design, the PLPROFILE4 MKII luminaire delivers Philips Selecon’s industry benchmark projection quality in a compact, robust luminaire. PR-250T LED is powered by 250 Watts 2700K - 6500K LED, designed to replace the 1KW Tungsten Halogen profile light. It creates a flat and even field of light and crisp pattern projection. Easy profile lens replacement with high-performance fresnel lens including a barn door. PR-350S LED is powered by 350 Watts RGBAYC LED, designed to replace the 1KW Tungsten Halogen profile light. It creates a flat and even field of light and crisp pattern projection. Easy profile lens replacement with high-performance fresnel lens including a barn door. The PR-20W LED is a super portable easy to set up LED profile powered by 20 Watt Warm White LED. Featuring a fixed Lens of 19°, 26°, 36°or 50°. It delivers a smooth dimming effect. It is the perfect application for Museums, Art galleries, Exhibitions, and retailer shops. The PR-20C LED is a super portable easy to set up LED profile powered by 20 Watt Cool White LED. Featuring a fixed Lens of 19°, 26°, 36°or 50°. It delivers a smooth dimming effect. It is the perfect application for Museums, Art galleries, Exhibitions, and retailer shops. 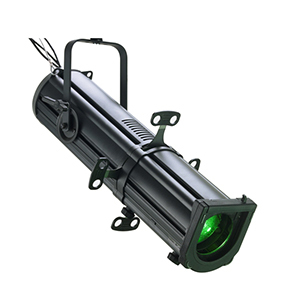 PR-400F LED is powered by 400 Watts RGBW LED, designed to replace the 1KW Tungsten Halogen profile light. It creates a flat and even field of light and crisp pattern projection. Easy profile lens replacement with high-performance fresnel lens including a barn door. PR-300W LED is powered by 300 Watts 3200K LED, designed to replace the 1KW Tungsten Halogen profile light. It creates a flat and even field of light and crisp pattern projection. Easy profile lens replacement with high-performance fresnel lens including a barn door. PR-300C LED is powered by 300 Watts 5600K LED, designed to replace the 1KW Tungsten Halogen profile light. It creates a flat and even field of light and crisp pattern projection. Easy profile lens replacement with high-performance fresnel lens including a barn door. 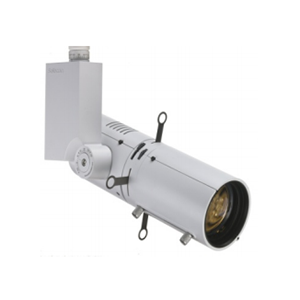 The SDP is a high light output for a LED luminaire of compact size with 2 zoom options 15-35 and 25-50 degrees. The PLPROFILE1 LED luminaire is a variable beam profile with precise beam control and pattern projection from a high output beam.